While it may not seem it at times, the life of a uni student can be a struggle. In between classes, parties, work, study and more parties, there isn’t much time left in the day. Thankfully, apps and smartphones can make your time in and out of the lecture hall easier, with plenty of options to help you study, relax and everything in between. In this Canstar Blue article, we’ll look at some of the best apps available that you should have on your phone, and how they’ll fit into your uni-student lifestyle. Studying is (unfortunately) a big part of being a student, with plenty of information to take onboard during lectures and tutorials, as well as due dates to keep track of. While how you study – if at all! – will come down to you, here are a few apps you should consider if you’re looking to hit the books. With plenty of subjects to keep track of, as well as due dates and events, having a calendar that you’re likely to check is an essential. While you might produce your best work the night before the due date, sometimes knowing what you have coming up can take the stress out of assessment deadlines. 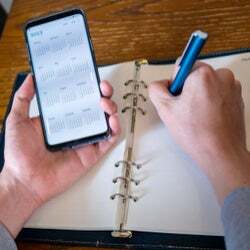 Your smartphone will often come with a pre-installed calendar app, but finding one that works best for you will ensure you keep on top of all your commitments. When it comes to storing and retrieving documents, cloud-based platforms have become popular for many tech users, allowing to not only free up space on your home computer, but allow you to access uni assignments or presentations from anywhere. Most cloud-based platforms are available with multiple plans and tiers to cater for all your storage needs, with each additionally offering a free option, making it a handy option for uni students on a budget. Flashcards have long been the study-buddy that you can count on, provided you have enough paper to make them! 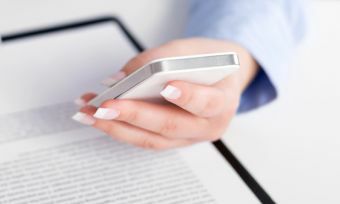 Like many other things, flashcards have caught up with technology and gone digital, with most flashcard apps free to download. Purchases and subscriptions are available for those looking to make the most of their study time, with many apps allowing you to either create your own flashcards – along with images – or download pre-made flashcards. Whether you’ve got writer’s block, or you’ve moved from overseas and you’re still getting used to Aussie slang, having a translator in your pocket is a handy option to help you find the word you’re looking for. Most apps are free to download and use, with some offering in-app purchases for those looking to master their linguistics. Most universities and higher-learning institutions have an app to help you navigate around campus, as well as keep you up to date with all your classes and online content. Most apps will include university publications and events to keep you in the loop with social events, as well as provide contact details for university faculties, including security, to ensure you’re kept safe while on campus. Each app will be dependent on the individual university, with university websites generally outlining app information. One of the best things about being a uni student is that you don’t often have to wait until the weekend to have some fun! However, having the funds to fuel your fun can be a different question altogether. Thankfully there are a number of apps out there that can help you find discounts, as well as a good time. Being a student means finding the delicate balance between having a good time without blowing your budget. Thankfully, there are plenty of great apps that allow for students to save on a range of things, including theme parks, clothing stores as well as entertainment such as Spotify and movies. ISIC Card – the International Student Identity Card (ISIC) works as a digital student ID, meaning you can take it with you to over 130 countries, with plenty of discounts available. The app is free, although signing up for the ISIC card will set you back around $30. StudentVIP – free to sign up to, StudentVIP offers a way for students to purchase and sell textbooks, swap study notes as well as get in contact with tutors to bump up those grades. Student Edge – aimed at helping students find discounts, the free Student Edge app shows you a map of deals and discounts in your local area. UNiDAYS – ideal for those who like a bit of retail therapy, UNiDAYS provides student discounts for clothing brands such as ASOS and The Iconic, with the app free to download and join. A government initiative, DrinkWise offers statistics and recommendations when it comes to drinking responsibly. While it may seem to be a bit of a party-pooper, if you’re new to Australia, DrinkWise may be a good place to start to learn all the terms and laws when it comes to having a drink or two, as it may help you have a good – and safe – night out. It isn’t just all fun and games when it comes to being a uni student, with plenty to do when class is done for the day. Whether you’re looking to spruce up your bedroom with a new purchase, make some cash or get your foot in the door for the job you want, the apps below may come in handy. Currency exchange can be a tricky business, especially when prices can change in the blink of an eye. Regardless of whether you’re looking to go on a holiday, make a purchase from an overseas retailer, or study abroad for a semester, having a currency exchange app will come in handy. 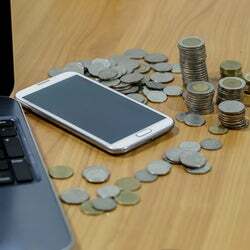 Most apps allow you to track and calculate currency rates and conversions across hundreds of countries, ensuring you know how much money you should be dealing with. For some, studying at uni means you’ve moved out of home, either into student dorms or a share house. While it can be an exciting time living under your own roof, it may not prove to be all it’s cracked up to be – especially if your roommates never do the dishes! 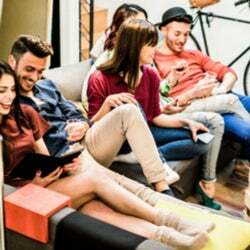 While there are plenty of real estate apps available for those looking to rent out a whole apartment or house, for those who are simply looking to move into a room may need something different. Thankfully there are a number of options for you to sign up to, with apps allowing you to post messages, bios and pictures, whether you’re looking to lease out a room or if you’re looking to move into a room. Whether you’re looking to pick up a bargain, or you’re looking to make a bit of extra cash by selling some of your old stuff, buy and sell apps are a handy way to find what you need. Most apps are free to download and use, with subscriptions available for those looking to buy or sell in a hurry. But if you’re happy to take your time, or you’re just looking, the free version should be enough. Some apps are specialised for motor vehicles, while others are for those who wish to show off their creations, with some having a bit of anything and everything to suit your fancy. For those who don’t have a car, or don’t want to pay for parking at uni, public transport is a handy way to get around town. Public transport will vary from state to state in Australia, with each falling under the jurisdiction of the state government. Be sure to also apply for a student travel card, as it will help you save every time you step onto the bus or train. Having a public transport app on your phone will also come in handy to make sure you don’t miss the next service, or to check that everything is running as it should be. The app will also allow you to put money on your travel card, or apply for a new one in case you can’t remember where you’ve put your old one. If you’re looking to study in a regional area of Australia, be sure to check out public transport options, as they may offer alternative means and concessions for students than metro areas and capital cities. There are plenty of apps out there can help make you more productive, rest easier or simply help you procrastinate. Here are a few extra apps that you should look into downloading, whether you’re in your first year or final year. If you’ve got a car, having roadside assistance can be the difference between being stuck on the side of the road and making your way home safely. Roadside assistance is often available from car insurance providers, with state-based and nationwide options available. While roadside assistance may cost you, the app – and the peace of mind – is free. University is a time to make plenty of connections, with your study mates potentially becoming your work buddies down the line. LinkedIn is a free networking app that allows you to showcase your work history, as well as keep an eye on any jobs in your preferred field of work and study. Home to plenty of government services, including Centrelink, Medicare and the Australian Taxation Office (ATO), myGov allows you to sign up to services or update your personal details to help with job searches or government payments. Both the app and signing up to an account are free, making it easy to start your job hunt or get access to important documents. Do I need to download student apps? With plenty of resources available to uni students nowadays, it almost seems silly to not take advantage of them, especially if they’re free! While you’ll have to be careful to ensure you’re not spending all your time on your phone, having plenty of apps to take the stress out of studying can make your time at uni more enjoyable. If you’re looking to also save on your mobile phone plan, be sure to check out our ratings for mobile phone providers and plans to ensure you’re getting the best deal for your needs.